It's performance is enough. It doesn't need any repair. Both exterior and interior are VERY AWESOME. This car is good to drive. I like it's handling. The point is this car is a very expensive and awesome car. THE END. Sorry, we couldn't find any Rolls-Royce Phantom listings that matched your search criteria. Here are all of our Rolls-Royce listings. Here are Nationwide listings for a Rolls-Royce Phantom. Here are our listings for all model years of the Rolls-Royce Phantom. 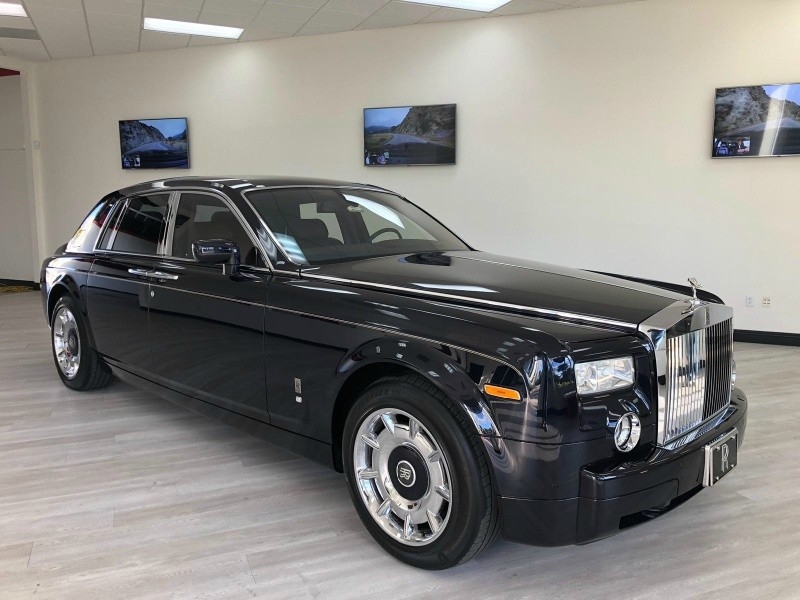 You might be interested in these similar years for Rolls-Royce Phantom. Avg. Dealer Rating: (3 reviews) "He was very nice. Very informative. Great advise, good info. " Avg. Dealer Rating: (15 reviews) "Very friendly and helpful. Response was punctual. Wish I had been in a position to buy, looked like a great deal. Hopefully when I'm ready something like this will be available." Avg. Dealer Rating: (5 reviews) "Good guy to deal with, but we couldn’t agree on a price." Avg. Dealer Rating: (6 reviews) "very kind"
Avg. Dealer Rating: (1 review) "Dealer would not give us asking price over the phone and I tried to set- up appointment to look at the car and never heard back from them. When I drove to their showroom the doors were locked. I could see they still had the car in their showroom, but obviously not in any hurry to sell it! After reaching out to them at least 3 times (with no response), I would not recommend doing business with them." Avg. Dealer Rating: (51 reviews) "Excellent service"
Avg. Dealer Rating: (2 reviews) "I dealt with one person that was very knowlegable about the car i liked he returned all my calls and answered all my questoins very helpfull and freindly great to work with him probably do more business with these people "
Avg. Dealer Rating: (12 reviews) "I was not pleased about the experience at all! Dealership was not knowledable about Out of state registration process or familiar with vehicle features. " Avg. Dealer Rating: (25 reviews) "The dealer did contact me, even though I am in the Phoenix area. They were nice and tried to figure out a deal, they just weren't interested in my Harley trade and I couldn't purchase the car without selling the Harley. Didn't make a deal, but they were OK to work with." Avg. Dealer Rating: (2 reviews) "grest"
Avg. Dealer Rating: (3 reviews) "Very profesional "
Avg. Dealer Rating: (9 reviews) "Good "
Avg. Dealer Rating: (13 reviews) "Sent an email and no initial response. I had to text and then received a response. Still following up with this dealer to see if we can reach a deal. Will update accordingly."